From 2004 to 2015, Evergreen Education Group (Evergreen), along with other partners, published the Keeping Pace reports, which served as annual reviews of practice and policy, for the field of K-12 online, blended, and digital learning. As part of the Keeping Pace reports, sections of the report were dedicated to planning guides designed to help educators in the field with the establishment and growth of their digital programs. The field continued to shift and morph as did the focus for Evergreen. In 2016, Evergreen decided to work on more pointed issues, such as teacher reciprocity, school accountability, and rural education. Fast forward to today, Evergreen has been the supporting structure to launch the Digital Learning Collaborative (DLC) and its associated annual conference, the Digital Learning Annual Conference, which will hold its inaugural meeting in Austin, Texas, April 1-3, 2019. Because the planning guides have such a critical impact on the field of K-12 online, blended, and digital learning, Evergreen by way of the DLC decided to continue to produce these guides. 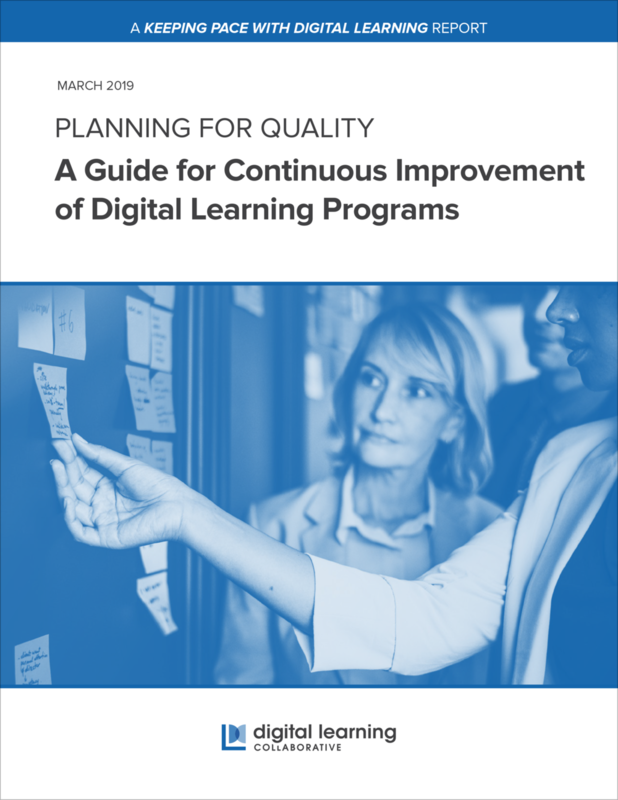 These first two Planning for Quality Guides (linked in the side bar) include Planning for Quality: Starting and Growing a Digital Learning Program, which provides guidance to programs that are just starting out or those that are actively expanding; and Planning for Quality: A Guide for Continuous Improvement of Digital Learning Programs, which serves as a framework for existing programs that need a structure for reflecting on where they’ve been, where they are now, and where they’d like to go as they move forward. Just like the guides of the past, DLC hopes these reports will inspire you and your innovative work in the field.